On April 7, the first trailer for the first non-sequential Star Wars film, Rogue One, was released to great fanfare. Focused on the main character Jyn Erso, played by Felicity Jones, and the trailer featured her recruitment by the Rebel Alliance to uncover and stop the Empire’s new super weapon. The trailer is just over 90 seconds long, but based on the dialogue between Jones’ Erso and rebel leader Mon Mothma, it passes the Bechdel test of two women discussing something other than a man. Most were ecstatic, but a vocal and extremely small minority of male fans immediately complained about yet another female lead to a new Star Wars film. If these fans were surprised by this development, then they have been paying relatively poor attention to the management of the greater Star Wars franchise in the last couple years. Outside of the cinematic universe, the piece of the Star Wars universe with the largest reach is undoubtedly Star Wars: Rebels, which currently airs on DisneyXD and wrapped up its second season on March 31st with the hour long season finale, “Twilight of the Apprentice.” “Twilight of the Apprentice” promised to resolve a number of storylines from Rebels’ sophomore season, such as whether the character Ezra Bridger would succumb to the Dark Side in his pursuit of power or if the Jedi would find a means to defeat the Inquisitors, who have hounded them and the rebels nonstop. However, perhaps the biggest storyline of finale was one that began eight years ago under a different television title, The Clone Wars. This is the storyline of Anakin Skywalker and his padawan learner, Ahsoka Tano. Over the course of the animated hit The Clone Wars, set after Attack of the Clones, fans were treated with sideline seats to Ahsoka Tano’s growth from a somewhat annoying young girl into a mature and quite skilled Jedi, and throughout this time period develop a close emotional relationship with her mentor, Anakin. By the conclusion of the show, Tano, accused of disloyalty and then cleared by the Jedi Council, made the incredible decision to simply walk away from the Jedi Order, and significantly, away from her close friend, Skywalker. Tano’s place in Anakin’s heart and subsequent departure on the show play an important role in helping to appreciate why the character ultimately turns to Palpatine and against the Jedi in Revenge of the Sith. More importantly, Ahsoka Tano has come to represent a greater effort of introducing more female characters into the Star Wars universe. The undisputed climax of the Rebels’ finale was a dramatic confrontation between Anakin Skywalker, now Darth Vader, and his former student. 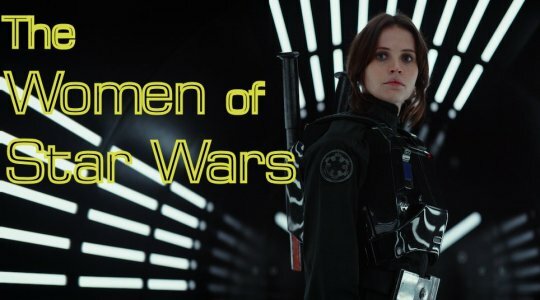 This spotlight on one of the most dynamic women characters in the Star Wars franchise, along with the release of the trailer for Rogue One, makes for a great opportunity to examine the expanding roles of women in Disney’s present day Star Wars canonical universe. In the Original Trilogy, there is an incredible absence of women characters, much less lead women characters beyond Princess Leia Organa. Beyond Leia, A New Hope featured Aunt Beru, whom we hardly had time to meet pouring blue milk before she was rendered a smoking skeleton in the deserts of Tatooine. The Empire Strikes Back brought us a female member of the Rebel Alliance essentially in the role of Star Trek’s Uhura, who sat by a console monitoring the Galactic Empire’s approach to Hoth Base. Finally, in Return of the Jedi, the high leadership of the Rebel Alliance was handed over to the solemn and radiant Mon Mothma who was given a moment to speak during the briefing for the attack on the Second Death Star. Leia’s own role in the films varied, seemingly as if the writers could not quite figure out what to do with their leading lady after A New Hope. In the initial Star Wars, Leia upturned the trope of damsel in distress, hijacking her own rescue after Han and Luke fumble their attempt and who wielded a particularly deadly aim with a blaster. In The Empire Strikes Back, however, while portrayed in the position of rebel leader, for much of the film her role is delegated to commentating on Han Solo’s antics and then voicing a distrust of Lando Calrissan. Only at the very end of the film, Leia essentially hijacks another rescue attempt and takes a dominant position, literally taking a seat in the captain’s chair of the Millennium Falcon. Finally, in Return of the Jedi, she’s granted the successive opportunities to be a bounty hunter, a bikini-clad slave, a soldier on the ground on a special forces-esque mission, the first rebel to meet a talking bear, and then be dressed in exquisite Ewok brand leathers as a guest of said bear’s tribe. While Leia is allowed to put her fatigues back on for the final climatic fight, it’s still an occasion where she’s soon sidelined with an injury leaving everyone else to save the day. The Princess Leia of the Original Trilogy possessed a number of wonderful attributes, but rarely was she really allowed to demonstrate them in action in the Original Trilogy. Things improved some for the next starring female character to appear in a major Star Wars installment. 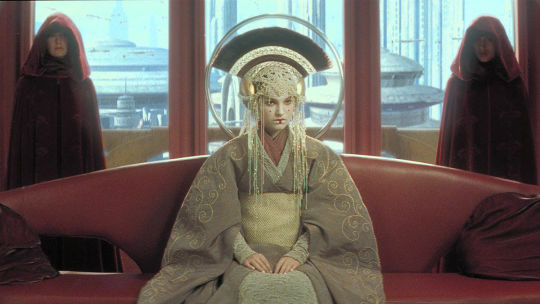 Padme Amidala, Queen and Senator of Naboo, was introduced in The Phantom Menace and through the first two films of the Prequel Trilogy was generally portrayed as an assertive, take charge leader of her people and just as handy with a blaster as her future daughter. Though, by the final installment, Revenge of the Sith, Padme’s character was pushed aside and limited to an emotional plot device to Anakin Skywalker’s fall to the Dark Side and the birth of the Star Wars franchise’s famous twins. The last glimpse we have of Padme is her funeral, summarily killed off by George Lucas purely for the sake of tragedy and to complete Anakin’s conversion to Darth Vader (this we know because originally Luke and Leia’s mother survived childbirth as revealed by Leia’s touching reflections of their mother in Return of the Jedi). Following what may be tantamount to the worse treatment of a major female character in the Star Wars franchise, a surprising shift occurred several years later and on a much smaller screen. The Clone Wars television show coincidentally premiered in movie theaters in the summer of 2008 then assumed its intended run on the Cartoon Network the following fall where it would remain until 2013. Introduced from the beginning of the series set between Attack of the Clones and Revenge of the Sith was the tween-like character, Ahsoka Tano. Assigned to Anakin Skywalker by Yoda in an effort to teach the rising Jedi Knight more responsibility, Tano superficially appeared at first to be another female character created to purely serve Anakin’s character development. Though, this would soon prove not to be the case, as Ahsoka was granted her own development into a more interesting and well rounded character. At the same time, another female character was introduced, a symbolic dark twin to Ahsoka Tano in the service of the villainous Count Dooku. Her name was Asajj Ventress. Introduced as a new antagonist for our Jedi heroes, Asajj entered the Star Wars universe a veritable equal to Anakin Skywalker, if not Obi-Wan Kenobi, despite being officially an apprentice to the Sith Lord Dooku. A daughter of the Night Sisters, also known as the Witches of Dathomir, they are a matriarchal society of empowered women who draw upon the Dark Side of the Force through mystical magic-like abilities. One of the greatest antagonists of the Prequel Trilogy, Darth Maul, was a creation of the Night Sisters, and so too, his similar in appearance brother, Savage Oppress. In short, the Night Sisters for much of The Clone Wars are among one of the more powerful factions, albeit small in number. 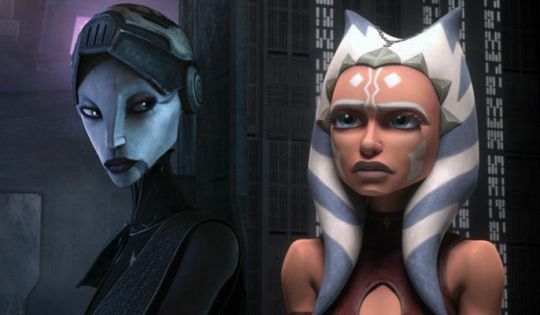 Throughout the course of the show, both Asajj and Tano eventually find themselves questioning their loyalties, be it to Dooku or the Jedi Order for different reasons. Similarly, both end up walking away from each of their respective homes as a result of both emotional character growth. 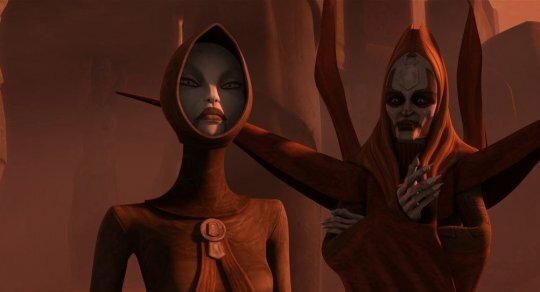 Asajj outgrows her apprentice-master relationship with Dooku, who ultimately tries to betray and kill her. Over the course of her appearances in the show, Asajj ultimately is shifted from villain to neutral character. The conclusion of The Clone Wars, after the purchase of Lucasfilm by Disney, did not end Ventress’ story. 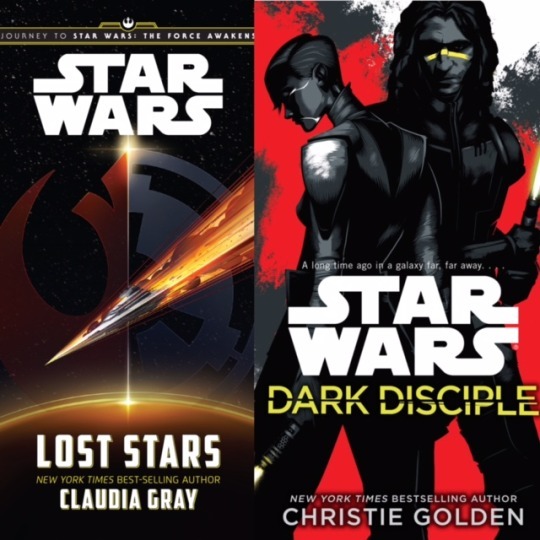 Six screenplays, prepared for episodes that were canceled, were ultimately transformed into the novel Dark Disciple by Christie Golden. One of the first publications of the new official canon, it concluded the character arc of Asajj Ventress by having the former Sith apprentice sacrificing herself to save a fallen Jedi Master. It’s an ending that carefully threads the idea of ‘women in refrigerators,’ wherein female characters are needlessly killed solely for the purpose of furthering the plot or emotional growth of a male character. In Dark Disciple, her death results in a Jedi Master, whom she had developed a romantic relationship with, being saved from the Dark Side, but it also follows the completion of her own character arc to the Light Side which began in The Clone Wars. Just like Asajj Ventress, Ahsoka Tano’s character arc was incomplete when The Clone Wars was canceled. Her presence on the show ended after she walked away, not just from the Jedi Order, but from Anakin Skywalker despite his urgent pleas that she reconsider her decision. From student to teacher of child-sized padawans, Tano’s character emerged independent of the Jedi Knight she was assigned to and for a significant fan base, her fate became something of grave importance against the established history of the Star Wars universe, a history in which virtually every Jedi was killed by the time of A New Hope. It was a mystery left agonizingly unsolved until the conclusion of Rebels’ Season One. The Clone Wars not only introduced two of the strongest female characters in recent Star Wars history in Ahsoka Tano and Asajj Ventress, but it featured a number of other strong women, including Padme Amidala, who resembled and exceeded her portrayal in the Prequel Trilogy. One specific storyline included Padme dealing with a husband, Anakin Skywalker, fraught with over protectiveness and a belief that she could not defend herself if needed (both of which Padme excellently handles.). Additionally, other female members of the Jedi Order are given their own storylines and agency. The role of women in the Star Wars universe was already significantly improving to that as heroes and equals of their male counterparts when Lucasfilm was purchased by Disney. Thankfully, the momentum did not stop. As a matter of convenience and clarity, the Star Wars canon officially endorsed by Disney has been discussed. This is not to say that there have not been excellent representations of women in the Star Wars universe prior to the Disney acquisition. A sterling example, known to many long time Star Wars fans, is Mara Jade, an equal to Luke Skywalker and one of the first new characters introduced in the old Expanded Universe. Nonetheless, the focus is now on the universe now strongly marketed and one which, unsurprisingly, is one where women find themselves as the heroes of first Star Wars films since Revenge of the Sith. It’s a new universe which encompasses film, novels, television, and comic books. In all four, women have taken a larger role and focus as protagonists and antagonists. This includes Rebels, the animated successor to The Clone Wars. Wherein The Clone Wars had one lead female protagonist in the form of Ahsoka Tano, Rebels doubles that number to two, Sabine Wren and Hera Syndulla. They represent two out of five members of the crew of the Ghost, a group of rebels around which the show revolves. Both are strong characters. Sabine wears the armor of the warlike Mandalorians, the same race as the major fan favorite bounty hunter Boba Fett. As a Mandalorian, Sabine is instantly recognizable as a fierce warrior and additionally, she’s shown to have a skill and penchant for explosives. Her martial prowess is balanced with a rebellious artistic flair, which exists as something of a contrast to the other female lead character, Hera. The owner and captain of the Ghost, Syndulla is a twi’lek, an alien race that has been associated with slavery ever since Jabba the Hutt sent a twi’lek slave to her death in his rancor pit in Return of the Jedi. As the previously most well known twi’lek was dressed in skimpy clothing that rivaled Leia’s own enslaved attire, Hera’s own appearance exists as rebuff to that presentation, as a full flight suit often with a pair of overalls over it. The only skin visible is her face and the tendrils which fall from the back of her head. Arguably the leader of the group, Hera often acts as the source of common sense, when not displaying a miraculous ability behind the controls of her ship. 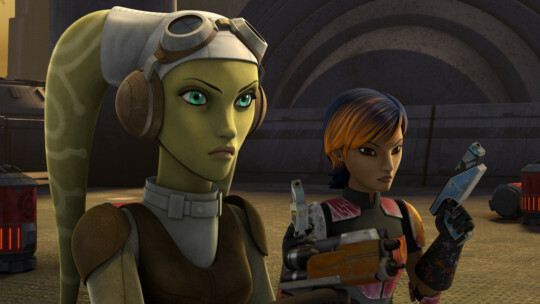 As Rebels proceeded into Season Two and the group formally joined the Rebel Alliance, Hera is promoted to a leadership role over a fighter squadron. Neither of the women are defined by relationships to male characters on the show, though Hera enjoys a deep friendship with the Jedi Kanan Jarrus. Ostensibly, Rebels is a show about Ezra Bridger, a point of view character for younger viewers and his gradual education in the ways of the Force against the back drop of the growing rebellion against the Galactic Empire. However, it’s truly an ensemble show with every crew member receiving individual episodes dedicated to their own background and character growth, including the women. As a matter of course, the show routinely passes the Bechdel Test. And then, it returned Ahsoka Tano to television. 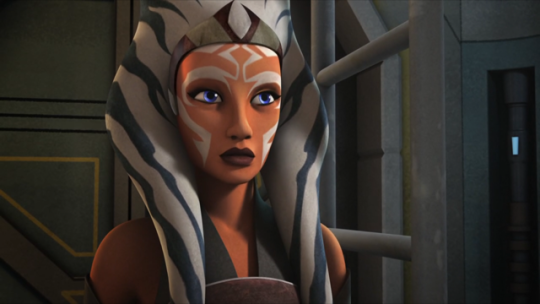 Revealed in the Season One finale, Rebels brought the now adult aged Ahsoka Tano to the show as a reoccurring character to strengthen the Jedi/Force user storyline that ran concurrently with the desperate search for a new home for the growing Rebellion. Tano’s introduction was also accompanied by the entry of Darth Vader, a frightening nemesis to the rebels and leash holder to new Force wielding villains, the Inquisitors. 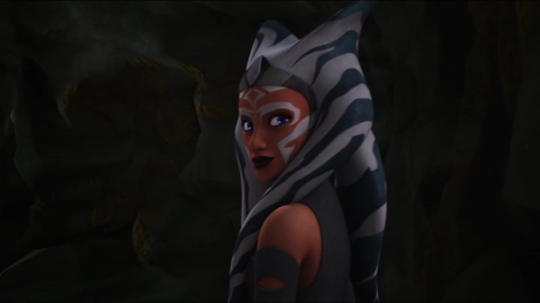 Multiple times as the season progressed, Ahsoka was presented as one of the most skilled Force users on the show – handily defeating enemies on her own. At the same time, the show embraced the tension between the presence of Anakin Skywalker’s former padawan and the fallen Jedi. Tano’s own character journey through the season was her self-discovery of Darth Vader’s true identity. It was no surprise, then, that the biggest anticipated moment of the Season Two finale was a much hyped duel between Ahsoka Tano and Darth Vader. For many, there was but only one way for the confrontation to end, the death of Tano. This expectation wasn’t grounded in a ghoulish desire to see Vader claim yet another victim, but on two different beliefs: 1) Luke Skywalker has to be the last of the Jedi by Return of the Jedi and 2) Anakin Skywalker’s transition into Darth Vader would not be complete until the final piece of his past was destroyed. To say fans were surprised by the result of the duel is to put it mildly, as Ahsoka Tano lived. Though proof of her survival was limited to a blink and you missed it moment in a closing montage of the episode, the reactions were mixed among the fan based. Some were greatly relieved, but others felt as if Rebels had elected to skip the serious ramification of apprentice and master, and had wimped out of the proper ending to the season. The problem with this perspective was that it failed to treat Ahsoka Tano as a character unto herself and not simply a plot device in the evolution of Darth Vader. 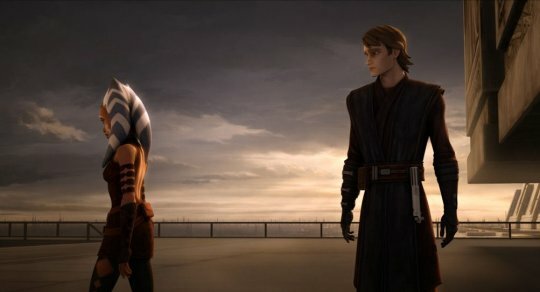 A re-examination of Season Two, adopting it as a story about Ahsoka Tano coming to terms with her decision to abandon the Jedi Order and leave her close friend, Anakin Skywalker, results in her survival making complete sense (per the Jedi issue, the writers repeatedly emphasized in the show that Ahsoka was no longer a Jedi). The duel with Darth Vader was not intended to complete Anakin Skywalker’s journey, but Ahsoka Tano’s. In a masterful stroke, the writers of Rebels made the most anticipated moment in recent Star Wars fandom revolve around a woman’s character development likely knowing full well that it would be criticized. While the question of whether Ahsoka Tano will reappear in Rebels’ Season Three, women characters continue to appear in another medium: Marvel Comics. The purchase of Lucasfilm by Disney not only resulted in the cancellation of The Clone Wars, but it terminated the longtime partnership between Dark Horse Comics and the Star Wars franchise. Under Dark Horse, the Star Wars Expanded Universe had been explored from the Tales of the Jedi set thousands of years prior to the Original Trilogy to Dark Empire, a limited series which helped to resurrect Boba Fett in the first wave of post-Return of the Jedi Star Wars stories, but like many of the novels and other Expanded Universe stories existing prior to the Disney acquisition, it was almost all relegated to ‘Legendary’ status, and now the illustrated storytelling of the Star Wars universe was placed in the hands of Disney’s own Marvel Comics. Marvel unleashed the first of its Star Wars comics in January, 2015, and ever since has been featuring a growing number of women characters across its various titles. The self-titled Star Wars series opens with Leia right in the middle of fight and on equal ground in terms of assignment and task as her previous would-be hero, Luke Skywalker. Throughout the issues which now number seventeen, Leia is presented as the best of the character that shined the brightest in the Original Trilogy. She’s a leader and a fighter. A mini-series was released the same year which took issue with Leia’s symbolic presentation at the end of A New Hope, as a woman left to hand out medals to others. 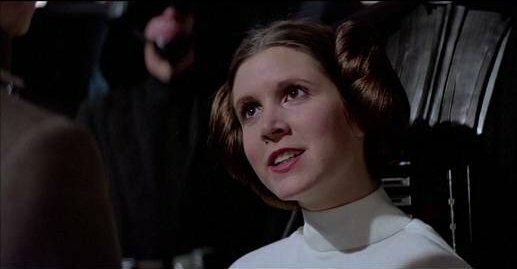 Beginning almost immediately after the closing ceremony, Leia rejects the Alliance’s desire for her to stay under close guard and protection, to essentially remain a symbol of the Rebellion, and departs on a personal mission to find and rescue the surviving people of Alderaan. Teamed up with a fellow survivor of Alderaan and female rebel fighter pilot, Evaan Verlaine, Leia seeks out multiple pockets of Alderaanians across the galaxy. It’s a strong partnership and women continue to appear in positions of leadership throughout the five-issue limited series, be it the manager of a musical group or the suspicious leader of an illicit organization of Alderaanians. Incidentally, many of the male characters in the series are either subservient to women or antagonist intent on capturing Princess Leia. 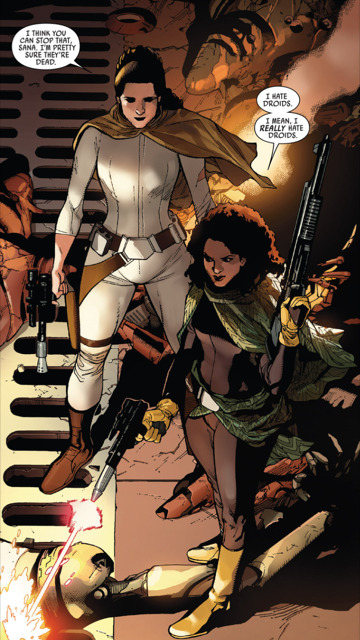 Female representation on the pages of Marvel’s comics did not conclude with Leia’s mini-series, but continued in the currently running Star Wars title with the introduction of Sana Starros, a smuggler and alleged wife of Han Solo. Sana is beholden to none and returns after her first story arc appearance to become part of a trio of women intent on retaking a prison under siege. Part of that trio is Dr. Aphra. 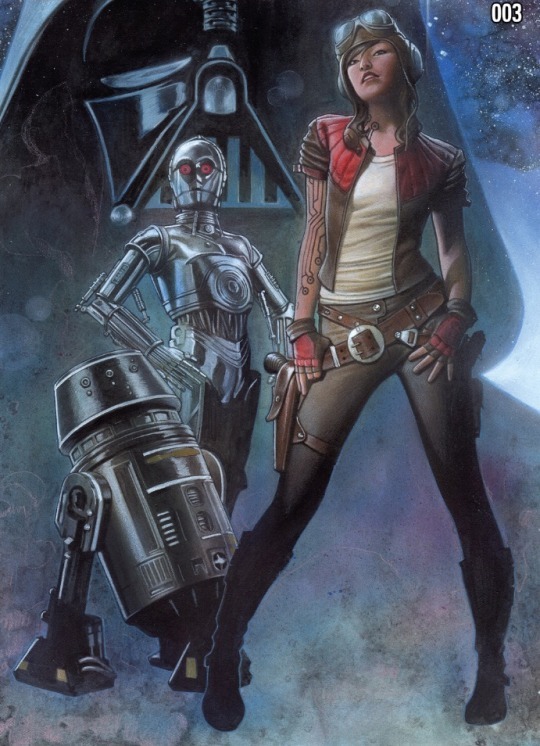 Described as a rogue archaeologist, Aphra might be described as a mix of Indiana Jones with a technological genius obsessed with weapons of varying levels of horrifying destruction. First introduced in the ongoing Darth Vader series, she’s unsurprisingly in awe when Darth Vader, part man, part machine, and extremely terrifying, finds and orders her to aid him in his personal mission to find the identity of the X-Wing pilot who destroyed the Death Star at the Battle of Yavin and to restore his prominent place within the Imperial hierarchy. Though bound in service to Vader by threat of execution, the amount of time Aphra spends with Vader is surprisingly low, as accompanied by the sadistic droids Triple Zero and BT-1, Aphra sets off on her own to accomplish her assigned missions. Routinely, Aphra displays intelligence, fearlessness, and just outright awesomeness across the pages nominally dedicated to the story of Darth Vader and is given time and space amongst those inked and colored panels to have her past and motivations explored. Arguably, Dr. Aphra might be one of the most interesting characters, male or female, introduced in the new Disney overseen Star Wars franchise. Women have also had prominent roles in other Marvel titles, such as the mini-series dedicated to Chewbacca and Lando Calrissan. In Chewbacca, the world’s favorite wookie is partnered up with a brave and bold teenager, Zarro. A daughter who refuses to give up on her enslaved father, Zarro is fearless in the face of increasing odds that rise from scheming local bad guy to captain of an Imperial star destroyer. In the other limited series, Lando, two major characters are female. One, a mysterious helmed bounty hunter of frightening ability and on Emperor Palpatine’s speed dial, revealed only at the end of the series to be a woman. The other, an alien Ugnaught named Sava Korin Pers, defies any obvious gender assignment by appearance and is identifiable as female through sheer use of pronoun. Sava is not the only woman in the series to exist independent of any visual assignment, as another major character is one half of a pair of acrobatic cat-like warriors hired by Lando for a heist and again, only revealed as female by dialogue near the end of the story. Not by coincidence, even a passing female character, an Imperial governor at the beginning of the series is not allowed to simply become a sexual conquest seduced and fooled by Lando in pursuit of an ancient, valuable artifact. Instead, Lando confesses his intentions to the governor and provides her the opportunity to decide whether her affection for the smooth talker outweighs her duty to the Empire. She chooses the former. Since Marvel’s assumption of the Star Wars franchise in comic book form, there have been approximately nine titles released over the last year and change. 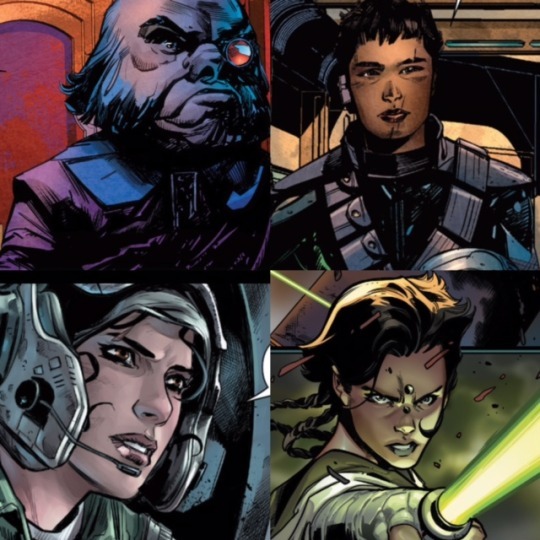 In every title, women have either played significant roles or have actually been lead protagonists, such as Shara Bey, an A-wing pilot for the Rebellion in the post-Return of the Jedi set Shattered Empire or Jedi Master Depa Billaba, the mentor for Rebels’ hero Kanan Jarrus in the twelve part mini-series covering his past. In short, any reader familiar at all with Marvel’s Star Wars line of comics should not be surprised by prominent female roles appearing elsewhere in the Star Wars franchise. The same would be true of any readers of the new Expanded Universe novels released in the same time period. Arguably, the first major expansion of the old Star Wars Expanded Universe came as the result of a number of successful novels, such as the Timothy Zahn Trilogy. Now on the threshold of a new expansion of a reset Expanded Universe, Disney has overseen the release of a series of novels which reflect the same dedication to women characters. One of the first novels released, A New Dawn by John Jackson Miller, featured a number of women in leading roles, such as Hera Syndulla (the same from Rebels), but also Rae Sloane, an Imperial Captain who appears later in another important role in the Chuck Wendig Aftermath series. Wendig’s Aftermath, in addition to including Sloane, has two female protagonist in the form of Norra Wexley, a former fighter pilot for the Rebel Alliance and the bounty hunter Jas Emari. Other titles had leading women characters. Dark Disciple by Christie Golden, mentioned earlier, concluded the story of Asajj Ventress, of The Clone Wars. Lost Stars by Claudia Gray introduced Ciena Ree, a gifted pilot and tragic character doomed by her allegiance to her culture’s honor bound society to serve the Galactic Empire to the very end. Star Wars: Battlefront – Twilight Company by first time author Alexander Freed, highlighted two female characters, Brand a former bounty hunter turned rebel and a deserting Imperial bureaucrat Everi Chalis. Twilight Company, likewise includes the unique side story of Thara Nyende, a female storm trooper. Perhaps the only problematic treatment of a female character is found in Heir to the Jedi by Kevin Hearne. In this post-A New Hope story, Luke Skywalker is teamed up with Nakari Kelen, the daughter of a wealthy businessman. Kelen is developed well enough as a character, but ultimately dies as a means to allow Luke to finally come to emotional terms with the death of Obi-Wan Kenobi, his aunt and uncle, and others. Thankfully, it’s much more of an exception than the rule. Planned releases in 2016 include more titles either about or at least heavily involving women, such as novel dedicated to Ahsoka Tano and a release of a prequel or side story to the Jyn Erso headlining Rogue One. Thus, the release of Rogue One’s trailer, which unabashedly announced that the next hero of the Star Wars universe would be a woman, comes as little surprise to anyone who has been paying attention to the Star Wars franchise across its varied mediums. Be it cinematic with Rey from The Force Awakens, televised with Hera Syndulla, Sabine Wren, and Ahsoka Tano, novelized with Norra Wexley and Ciena Ree, or in comic book form with Dr. Aphra, the present and future of the Star Wars is one decidedly determined to place women in and on the same footing as its male characters. It began with the princess who gazed defiantly at the black armor clad villain who towered above her aboard the Tantive IV and now continues across a variety of titles in every format. Eventually, the next Jyn Erso will be introduced with little commentary about her gender, but as just one more hero of a franchise known for female role models. That day is sooner than many might believe.